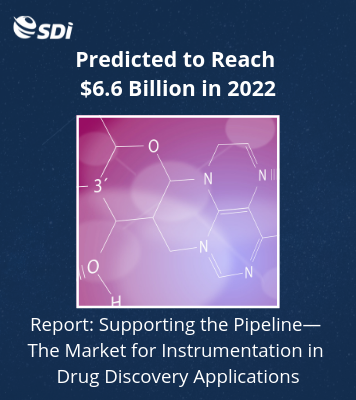 Last month, the specific funding amounts for the Congressionally Directed Medical Research Programs (CDMRP) were released, which are not part of the President’s budget request for Research, Development, Test and Evaluation (RDT&E). CDMRP funding is usually inserted as “Undistributed Medical Research” in the Department of Defense’s (DoD) RDT&E account in budget proposals. The CDMRP provides congressional appropriations to the DoD for research in specific health issues that have been selected by Congress. 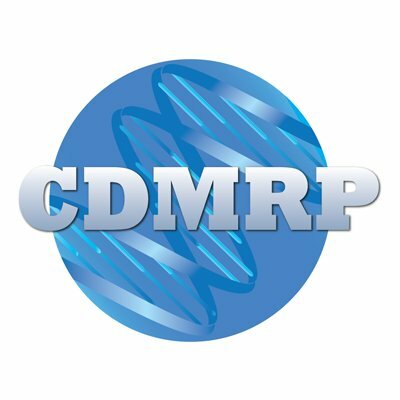 CDMRP funding is administered by the US Amy Medical Research and Material Command, which also manages competitive grants. 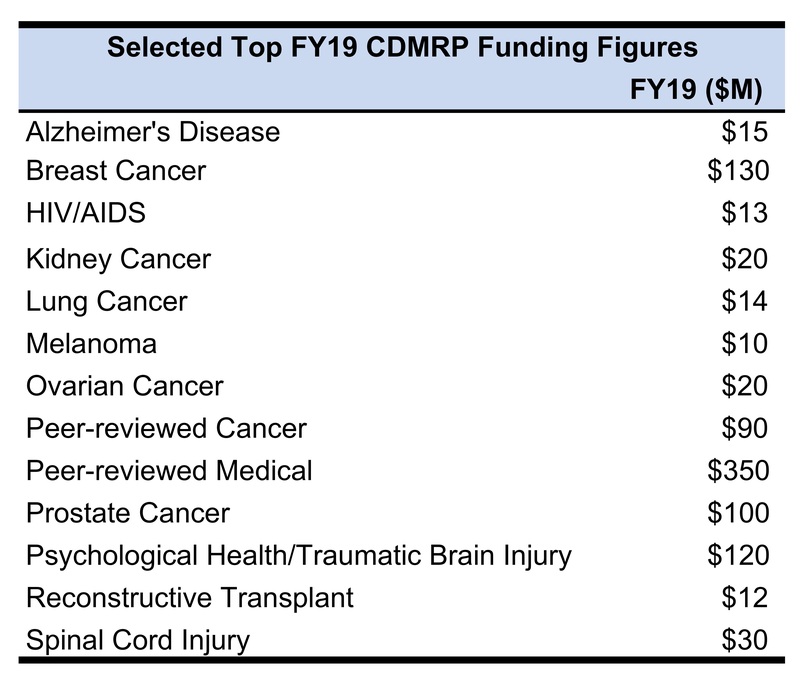 For fiscal 2019, the CDMRP received $1.47 billion from both the Department of Defense and Labor, Health and Human Services, and Education Appropriations Act, 2019, as well as the Continuing Appropriations Act, 2019. This accounted for 67% of total RDT&E funding for the Defense Health Program, with the remaining third of coming from other RDT&E sources. The funding in this account does not include biomedical research conducted by the Defense Advanced Research Projects Agency or other military research agencies. The table below highlights selected medical research topics that are amongst the recipients of substantial funding. The “Peer-reviewed Medical Research Program” commonly receives the highest funding levels under the CDMRP, as it supports grants addressing medical conditions and treatments, including antimicrobial resistance, congenital heart disease, diabetes, mitochondrial disease, pancreatitis and tuberculosis. Similarly, the “Peer-reviewed Cancer Research Program “supports grants for medical research on several cancers and treatments, such as blood, brain, liver, stomach and rare cancers, as well as immunotherapy, lymphoma and neuroblastoma. Programs funded by the CDMRP are dynamic and subject to change.